"There is nothing more highly embellished than a simple thing well done." The first thing you will notice about my guitars is their simple beauty. The notion that "less is more" is not just a cliché for me. Too often today, the term "handmade" is applied to guitars built by an assembly line of workers putting together identical parts that have been cut by computer-controlled machinery. These guitars usually rely on the use of inlay for embellishment. The beauty of my guitars comes instead from the careful selection and use of materials in a way that emphasizes their inherent natural qualities. Ornamentation comes mainly from the grain of the wood, the joinery, and the hardware. Design elements of my guitars emphasize honest lines, natural materials, and superior craftsmanship. Special attention goes into choosing harmonious colors for all components to bring out the most desirable attributes of the woods. The form of my design elements always follows functional considerations. The design of my steel-string headstock, for instance, evolved from a concern for proper orientation of the posts to allow the strings to remain as parallel as possible from end to end, contributing to more even response and feel. The veneer on the back of the headstock, other than being beautiful to look at, provides additional strength and stiffness to this normally weak area. 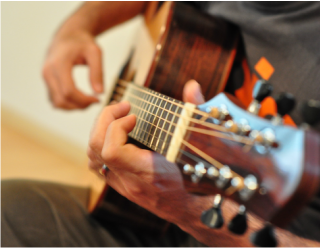 As a result, more of the string energy is directed to the body of the guitar, which translates into greater volume and sustain. 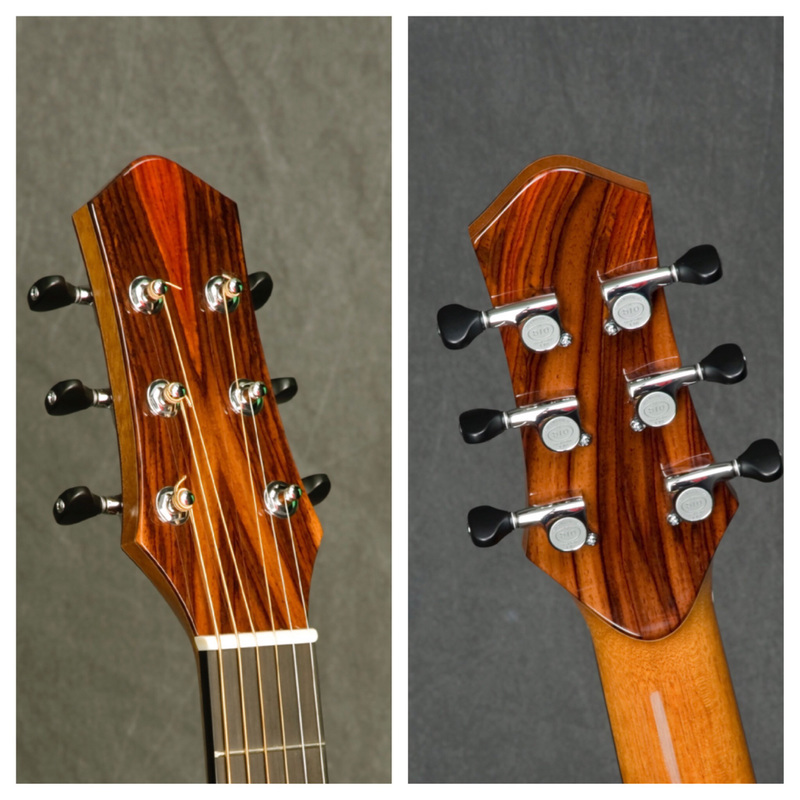 The double veneer also reduces the possibility of the headstock breaking off at the nut as a result of an impact. 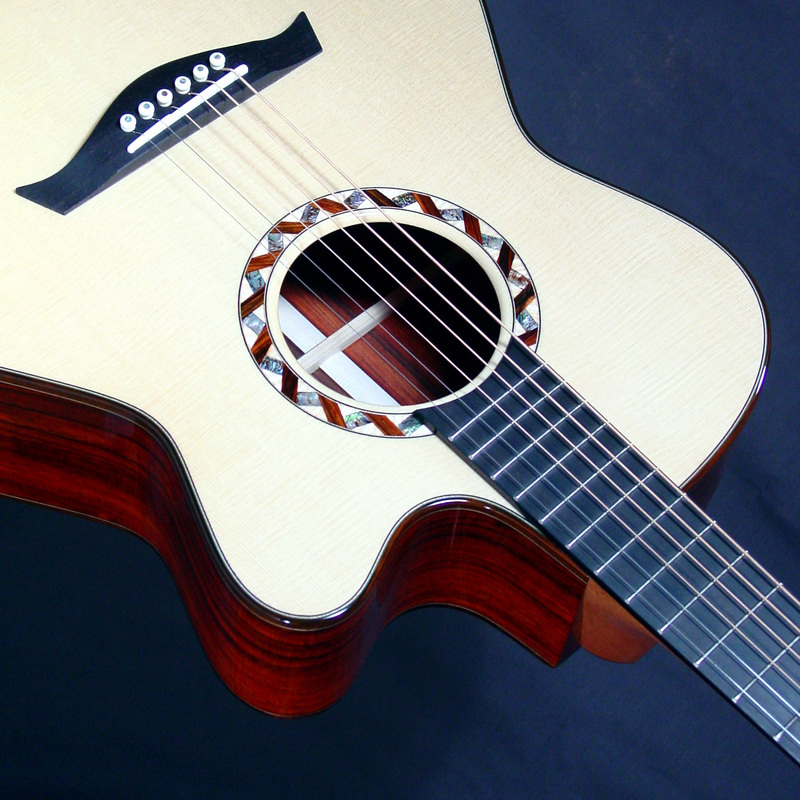 My guitars are very much designed with the fingerstyle player in mind. I put a strong emphasis on balance across the strings so that melody lines are not lost behind the bass notes. At the same time, my guitars are very responsive to varying attack and have a wide dynamic range, giving the player a larger scope of musical possibilities to draw from. I also design my guitars to provide tremendous volume, sustain and projection, without sacrificing complexity of tone. 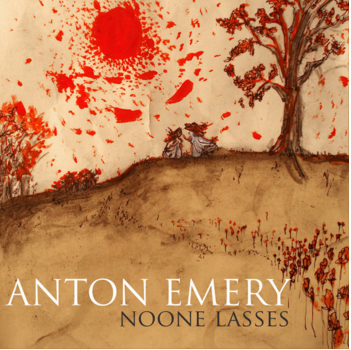 Click the link below to hear one of my OM's being masterfully played by Anton Emery of Portland, Oregon. A guitar can look and sound great, but if it's not easy to play, you may as well hang it on the wall. My steel-string necks come with a standard 1 3/4" nut width, offering a larger fretting surface ideally suited to a fingerstyle player's needs. I also realize that every player has their own personal preferences, so I am always happy to accomodate any specific requests for fretboard, string spacing, and scale length measurements, as well as neck profiles. 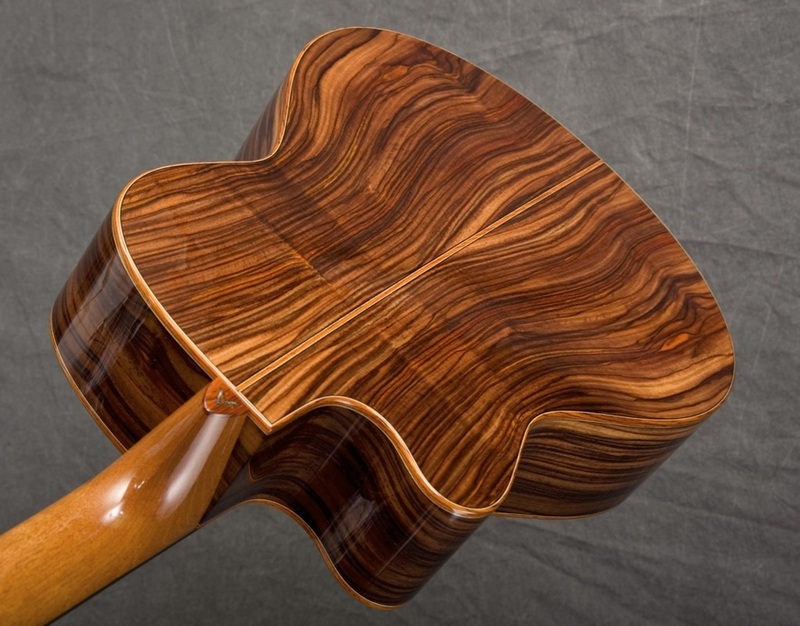 I use only well-seasoned, AAA or Master-grade solid woods on my guitars, and they are assembled in a carefully climate-controlled environment to ensure the highest possible quality of construction. All guitars are backed by a Limited Lifetime Warranty to the original owner.